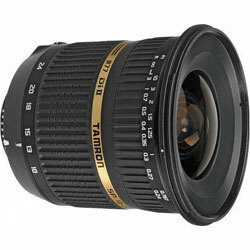 Dpreview.com has reviewed the super wide angle lens from Tamron, the Tamron AF 10-24mm f/3.5-4.5 SP Di II LD Aspherical (IF) lens. This lens is the widest lens you get for the mounts it is designed for and it has a pretty nice price. The lens will be available for Canon, Nikon, Pentax and Sony mounts. Dpreview ends up giving the Tamron AF 10-24mm f/3.5-4.5 SP Di II LD Aspherical (IF) lens a “Recommended” rating due to that it is a very wide lens and it does not have much distortion. There are some downsides to the lens because it is a bit soft wide open and has soft corners at all apertures and focal lengths. Seems like an interesting lens if you are into wide angle photography. Read the full review of the Tamron lens here.